The Emerald Archer is still running around Star City, but it's not Oliver Queen, so who is it? Arrow, the show, is back, and so too is the vigilante Green Arrow. With Season 7 of the superhero show underway, the Emerald Archer is once again out on the streets of Star City, except there's one major catch: it isn't Oliver Queen. Oliver found himself imprisoned at the end of Season 6, and that's where his story picks up in the Season 7 premiere, Inmate 4587. The story gets back to the darkness that helped make Arrow so great, with lots of intense action as Ollie finds himself face-to-face with a number of villains that he helped put behind bars. Outside the jail, though, his legacy continues as someone picks up the mantle of Green Arrow. We see former Team Arrow member Dinah Drake trying to take him down, and Wild Dog preventing her, but there's no word yet on who it actually is. 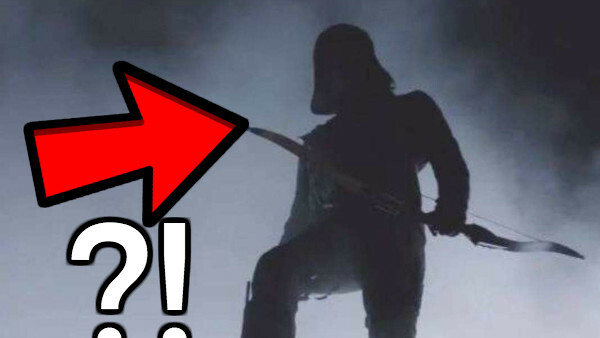 This isn't the first time we've seen someone else take up the bow-and-arrow on the show - Roy Harper has taken the wrap for Oliver before, and more recently John Diggle briefly stepped into the suit - but with this one shrouded in much more secrecy, there might be a bigger reveal on the way.